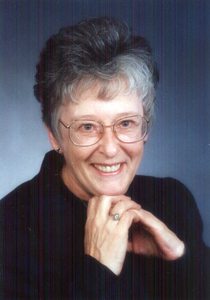 Linda Woodward Geiger is an associate of the Board for Certification of Genealogists (BCG), holding credentials as a Certified Genealogist (sm) and as a Certified Genealogical Lecturer (sm). She is a nationally known speaker, author, and historical researcher. She has spoken at genealogy conferences and seminars in over twenty-five states, and has served as a coordinator and staff member of a variety of courses at the Institute of Genealogical and Historical Research (IGHR). She currently serves as president of Friends of the National Archives Southeast Region (FNAS); as hostess for webinars sponsored by FNAS and serves as their webmaster. Linda specializes in federal records; Georgia’s state and county records; and training researcher’s in methodology standards. She is also recognized for her work documenting Cherokee Heritage. This week’s action item stems from Linda Woodward Geiger’s last piece of advice where she advises not to take down any information without having a source citation. This week your action item, if you choose to accept it, is to practice gathering the citation information before you study original documents or images of original documents. This is for online and offline research. As well, when you check a source but do not find anything you need to write that down too! See if you can consistently do this for an entire week and you will be well on your way to great genealogical research habits!